THE FINANCIAL GUIDANCE YOU NEED. THE CLARITY AND OBJECTIVITY YOU WANT. Whether you’re just getting serious about saving or you’re a seasoned professional, Paradigm Advisors is here to help you focus on achieving your dreams while you’re navigating everyday life. Thoughtful, sound advice with zero hidden fees. At Paradigm, we value objectivity, integrity and transparency. We provide fee-only financial planning focused on guidance and support. Our advisors don’t collect commissions on any investments we recommend, allowing us to offer truly objective advice. We’ve created a three step process that makes it easy to collaborate and customize a plan tailored to your goals. We want to understand who you are and where you want to be, both now and in the future. We’ll work together to aggregate your information, then we’ll design a plan that works for you. 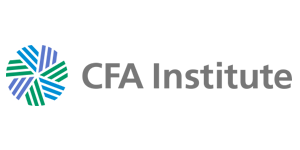 Paradigm Advisors uses Riskalyze to help discover your patented Risk Number®. We’ll help you take the second (and sometimes scariest) step: putting your plan into action. Whether we’re diving into the details around purchasing a new home or revising your estate plan, we’ll come up with solutions together. We provide strategic direction, asset allocation and investment advice. Living your life with peace of mind should be a priority, but we’re all human. We know that life is unpredictable and its only constant is change. As questions start to arise, feel confident that a team of advisors at Paradigm will support you each step of the way. Ever feel overwhelmed by the idea of financial planning? We understand. That’s why we want to help people who are still in the early stages of their career. We assist clients who are considering important life decisions such as buying a house, starting a family or changing careers. We want to arm you with sound guidance that will help you avoid consequential mistakes. You want a team of savvy professionals to provide sound advice regarding any significant life change with financial implications. You’re an independent professional, freelancer or entrepreneur with financial options. You want help managing your finances so you can spend more time pursuing the things you love to do. Are you an established professional but not yet ready to retire? 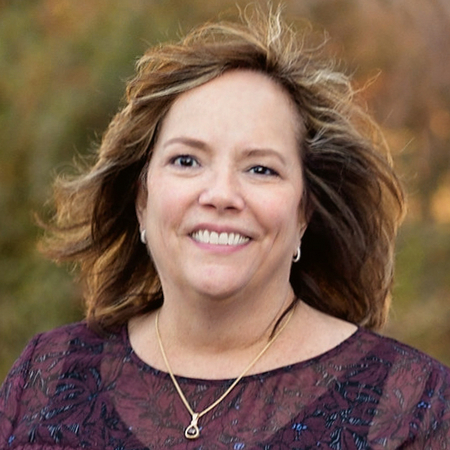 Have you experienced an unexpected life change and need help navigating the future? Whether you’re considering retirement savings strategies, evaluating private school for your children, purchasing a second home, saving for college or supporting your elderly parents, we’re here to help. Our goal is to check things off your to-do list so you feel financially prepared. You’re financially stable and want a sounding board - someone who can objectively assess your financial preparedness as you approach retirement. You have executive compensation plans to navigate. You are willing to devote the time needed to having an impactful conversation about your financial life. We truly believe our unique perspective sets us apart. Each member of our team has over 25 years of experience in varied wealth management and financial planning roles. Our extensive knowledge of investing, taxation, trust and estate planning shapes our view toward risk management and staying the course. Combined with our well-recognized credentials (CFA®, CFP®, CPA), this perspective qualifies us to advise clients navigating life’s difficult choices. I have always had a passion for helping people and resolving complex issues. 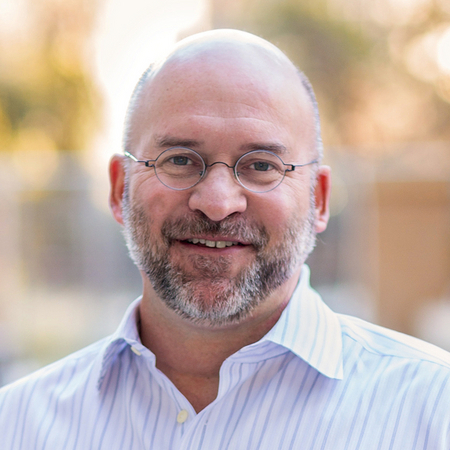 My diverse experiences working in different areas of finance – accounting, tax, family office environment, hedge funds and ultimately becoming an entrepreneur – make me uniquely qualified to serve your needs. My professional career started with three years in public accounting at Arthur Andersen, where I learned firsthand the positive impact of strategic tax planning on wealth accumulation. I transitioned into investment management at a Dallas-based family office before venturing into non-traditional investment strategies and founding Paradigm, where we successfully managed hedge funds for over two decades. I received a Masters of Accountancy with a concentration in Taxation and a Bachelor of Science in Business with a concentration in Accounting from the University of Tennessee. I am a Certified Public Accountant (CPA) and Certified Financial Planner (CFP®). When I'm not helping others plan for their future, I'm enjoying time with family and friends. My favorite activities include walking, bridge, savoring good food and wine and traveling anywhere and everywhere...connecting with others along the way while I explore local cultures. As Head of Investment Management at Paradigm Advisors, I work to optimize risk adjusted returns based on our clients' needs. I have always enjoyed research and am passionate about investment analysis. 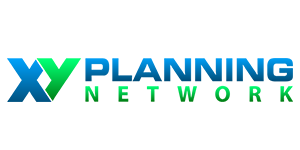 I joined Paradigm in 1994 and successfully managed long/short equity hedge fund strategies for over two decades. Prior to Paradigm I began my investment career as an associate with Discovery Management, a hedge fund employing a quantitative market neutral investment strategy. 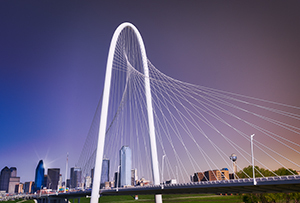 A native of Dallas, I graduated from Greenhill School and then attended Southern Methodist University where I received a BBA in Finance and Management Information Systems. I also hold the designation of Chartered Financial Analyst (CFA). When I am not helping others plan for their future or doing homework with my children, I enjoy traveling, following professional sports, listening to live music, and tinkering with computers and other electronics. The Masters: We provide clarity, insight and direction around your finances to help you achieve your life goals. Our comprehensive financial planning services are delivered within the context of a collaborative client/advisor relationship. The Explorers: We have developed a special approach for those in the early wealth accumulation stage of their lives, enabling us to meet your unique needs at a lower entry price. Special Projects: We understand that there are instances where you may not need a comprehensive financial plan and instead wish to address a specific circumstance or life change. We provide strategic direction, asset allocation and investment advice to our clients with the overarching goal of capital preservation and long-term growth. We take an active approach to passive investment management. 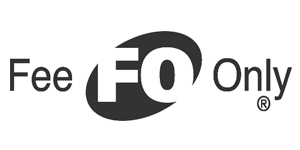 We invest primarily in exchange-traded funds (ETFs) and mutual funds, with a constant eye on liquidity for our clients. Above all, we manage our clients’ portfolios for the long term, with a “stay the course” philosophy on risk management. Initial Plan: The initial fee for Paradigm’s comprehensive financial planning package, our best value, is $2,500 - $35,000 and includes everything from insurance and education planning to long-term care needs and charitable giving strategies. In most circumstances, our Explorers Program will have a more economical fee for the initial plan. If your need is more defined, we can work with you on a project or hourly basis. Retainer: A monthly retainer of $200 - $2,500 is charged based on your income, diversity of assets and complexity of the work. The monthly retainer provides you with access and interaction with the Paradigm team as a sounding board for financial advice throughout the year. We view our relationship with you as an ongoing partnership. Investment Management: Investment Management fees are 75 basis points per annum for the first $500,000 of assets under management and decline on a tiered basis to as low as 40 basis points. What does Fee-only financial planning mean and why is it important to me? Fee-only financial planning means we’re only paid by our clients. We’re compensated solely by the fees we charge directly to our clients, not via commissions or other kickbacks. It’s important to you because it ensures you that our advice is unbiased and in your best interest. Since we’re not tied to proprietary financial products, we can recommend the most cost-effective and appropriate solution for you. Do I need to have a lot of money or be established in my career to work with a financial planner? No you don’t! We recognize that financial planning is appropriate for different stages of life. For many young professionals, time is your greatest asset - so start now. It’s not about how much money you have. We’re here to help you build a strong financial foundation and to watch you grow. What is your investment approach if I choose to take advantage of your money management expertise? With over 25 years of experience, our team has collectively worked across all areas of wealth management and financial planning. We invest for the long term. We keep investment costs low, diversify, rebalance regularly and believe in asset allocation. Our experience and credentials (CFA®, CFP®, CPA) mean we’re qualified to advise and coach clients through many of life’s difficult choices. Think about it this way: What would you think if your doctor gave you a prescription or recommended surgery without first examining you, understanding your medical history and what medications you are currently taking? Much like a doctor needs a holistic understanding of the patient, we need a holistic understanding of your financial picture in order to make the best possible recommendations. Comprehensive financial planning involves the detailed review and analysis of all facets of your financial situation including cash flow analysis, risk management (insurance), investment management, tax management, retirement planning and estate planning. From there, we begin an ongoing process of setting goals, organizing your finances, developing and implementing strategies and regularly reviewing progress and making adjustments. What do the acronyms: CFP ® , CPA, CFA®, NAPFA and FPA® stand for? 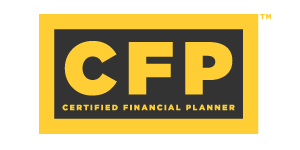 CFP® = Certified Financial Planner®. The CFP® certification is recognized as a standard of excellence for personal financial planning. When selecting a financial planner, you need to feel confident that the person you choose to help you plan for your future is competent and ethical. Only those who have fulfilled the certification and renewal requirements of the CFP Board can display the CFP® certification marks. For more information on the CFP® designation, please visit: www.cfp.net. 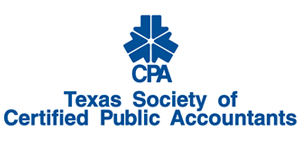 CPA = Certified Public Accountant. 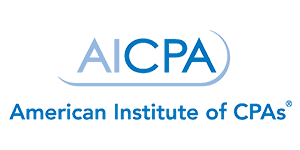 The CPA designation is limited to those individuals who have met the high standards of examination, professional work experience, and continuing education requirements set by the State Boards of Accountancy. Individuals with this certification will have expertise in accounting, auditing, tax, business valuation, and personal financial planning. For more information on the CPA license visit: www.aicpa.org. The Chartered Financial Analyst® (CFA®) credential is the most respected and recognized investment designation in the world. These individuals will have knowledge of academic theory, current industry practice, and ethical and professional standards to provide a strong foundation of advanced investment analysis and real-world portfolio management skills. For more information, visit: https://www.cfainstitute.org. 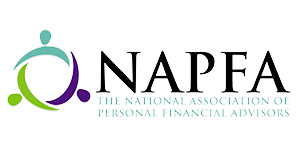 NAPFA advisors have twice the number of continuing education requirements as a CFP® and even more rigorous requirements, including peer reviewed financial planning. All NAPFA advisors must be Fee-Only and take a Fiduciary Oath each year. To learn more about NAPFA, visit: https://www.napfa.org. 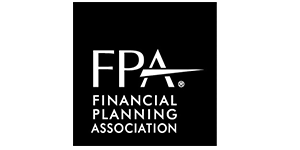 FPA® = Financial Planning Association®. The Financial Planning Association® (FPA®) is the largest membership organization for CFP® professionals in the U.S. and also includes members who support the financial planning process. To learn more, visit: www.plannersearch.org. Where do I have to be located to work with you? We’re physically based in Dallas, Texas and in Fayetteville, Arkansas - but we’re a virtual practice. We can work with you seamlessly and efficiently, regardless of where you are in the world. We’ll help you make financial decisions, either in person or online, that impact your life now and in the future. What kinds of topics do you talk about with clients? 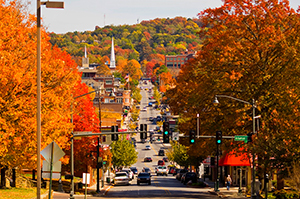 We're physically based in Dallas, Texas and in Fayetteville, Arkansas - but we are a virtual practice. We can work with you seamlessly and efficiently, regardless of where you are in the world.